Don't you just love things that are minimum effort and maximum reward? I'm thinking beach hair, Bravo TV shows, avocado on anything, flip flops, and this salad. Next time, I'm making a double batch...I ate in all in 12 hours. 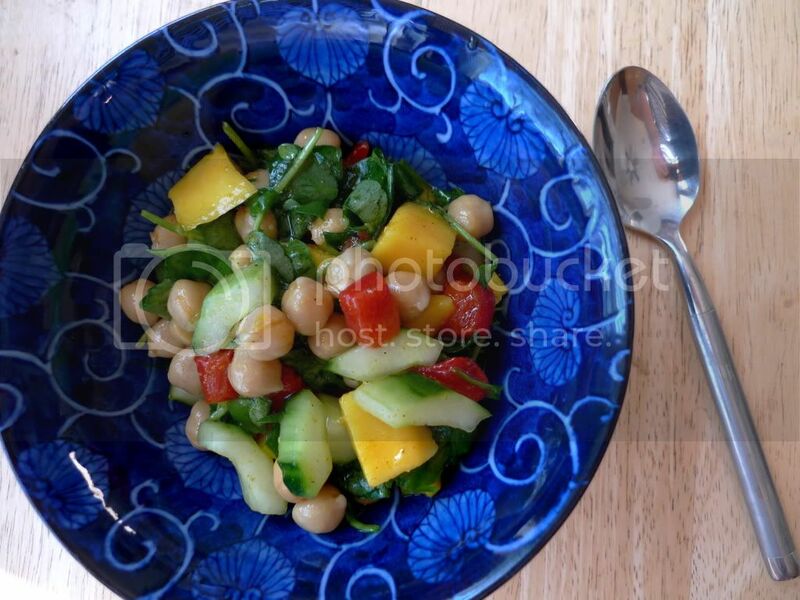 -In a large bowl, combine the chickpeas, roasted red pepper, mango and cucumber. 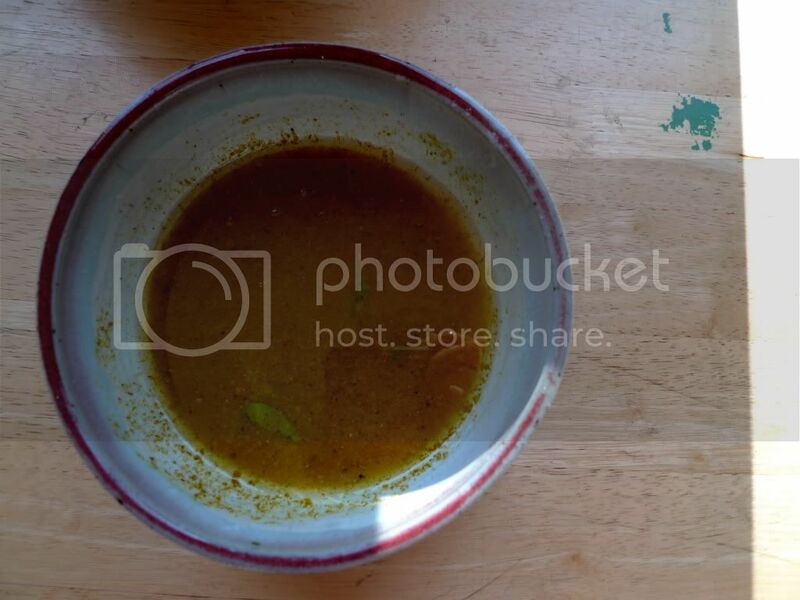 -To make the dressing, in a medium bowl, whisk together the lime juice, curry powder, ginger, honey, oil, salt & pepper. When ready to serve, add dressing only to the amount of salad you think you will serve that day. 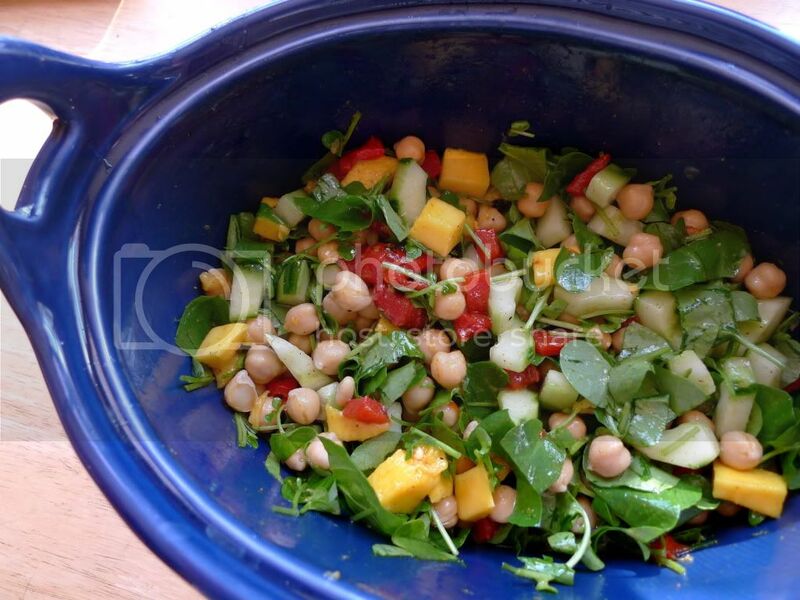 Add the watercress and dressing to the chickpea mixture and toss to combine. Store remaining salad and dressing separately, covered, in the refrigerator. That looks so delicious and fresh! I'll have to try it sometime. But when you say beach hair, it makes me want to cry (It's still so cold here!). I hope you try it! And don't worry, it's freezing here too. Beach hair is something to keep my mind off the gloom! Happy cooking! I have to remember to come back to this recipe. It sounds so good. 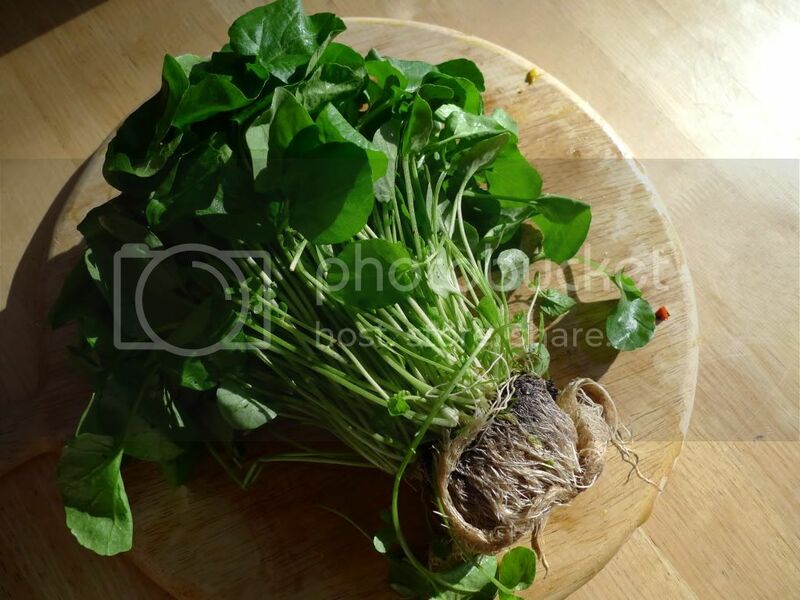 I love watercress especially and this sounds like a great way to use it.